Haberdasher's Aske's Boys' School had no database of old boys, no regular communications with parents, and no history of community engagement. Using a variety of innovative events and communications strategies, ranging from reunions and activities to internet searches and social media, we grew the database to 8,000 contactable constituents. 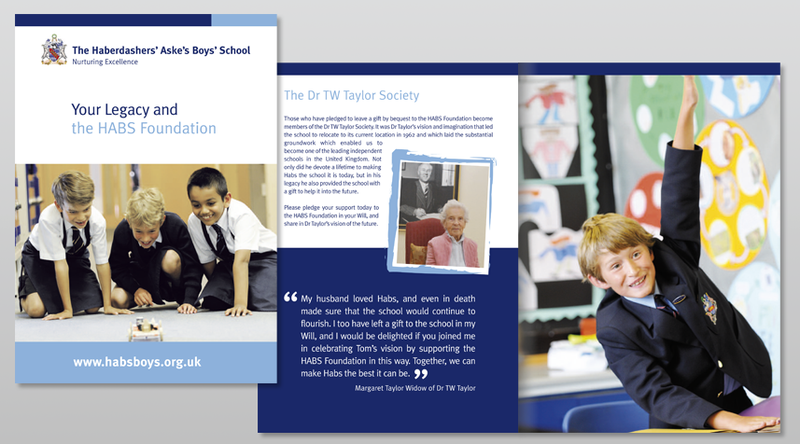 All members of the community received termly newsletters and monthly email bulletins, with opportunities to support career mentoring and university mentoring programmes, invitations to attend events and activities, and regular briefings for the role of the Foundation. The outcome was an invigorated community of pupils, staff, parents and alumni, engaged with and proud to support the school and its ambitions. By the time Dr Spence had stepped down from the post of Director of External Relations, Habs had nearly doubled the number of applications, crafted and implemented a new brand and communications strategy, and had raised in excess of £5 million in gifts and pledges. "Dr Spence left behind him the very soundest of platforms on which we can build for the future. I shall miss his deep warmth, effervescent ebullience and intense professionalism."